When asked about my passion, you may find "cooking" as my prompt answer. Lately I have been pondering about the reason behind it. I did not have to 'ruminate' on it for too long as I found the answer over dinner. I love to cook simply because I love to eat and as a corollary to this hypothesis, my desire to maintain my self-sufficient-self helps to boost my passion for cooking. Over the last few years, me and my husband have been to quite a few places around Europe and had the opportunity to delve into various micro-cultures. His way of reliving those moments is to glance over the multitude (can be read as millions) of pictures stored in his hard-disks both internal and external. For me the attempt is more tangible however. It is to cook some of the traditional cuisine that I may have come across or learnt or tasted during those vacations. I would share one such endeavor that came about after my trip to Marseilles. Marseilles is the second largest city in France and the capital and heart of the region of Provence. Unlike most of France, Provence does not have a Gallic root and was colonized by the Romans much before the triumph of Caesar over the Gauls. So the culture described in the Asterix series does not apply here. Provence also has its unique cuisine and the reason for this difference is more geographic than the ethnicity of this region. Being on the edge of the Mediterranean, fish is obviously the most popular diet of the Provencal people. A common fish found in and around Marseilles is the European Hake more common by the name "Merlu" or "Colin" in this region. 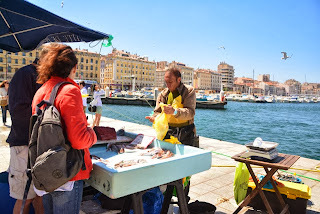 Frankly I did not know of it before this visit and even after seeing it in abundance at the "Pêche du jour" (Catch of the day) stalls around the port of Marseilles. But when I tried it at the restaurant of our hotel, I instantly realized that this is one fish I would be cooking right after our return to Paris. And so I gave Grilled Hake a try and it turned out quite well. The preparation was quite simple. I marinated the fish with lemon juice, salt, black pepper powder, Herbes de Provence for 30-45 minutes (skin side placed up). Then I grilled the hake in olive oil (both the sides) and thats it. The grilled fish is ready to be served. I served the dish along with another Provencal specialty (probably the most famous), Ratatouille. 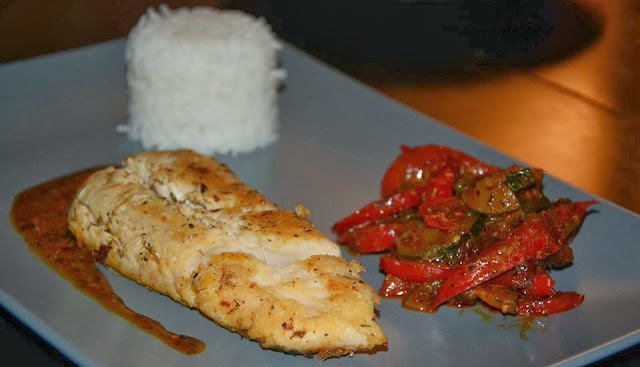 Ratatouille is famous in the English speaking world thanks to the Pixar-Disney animation film of the same name featuring a cute "rat" who also shares my passion of cooking. My husband jokingly refers to me by that name, and like the title character of the film, I too believe that to comprehend the raw materials of any dish, smell is equally important as the taste. The name of the movie was however not chosen only to play on the word "rat" but also because this is one of the most recognizable dish of Provencal and French cuisine. Originating from Nice, this dish has made to the tables of most french families as a dish representing their tradition. You can find families gathering during Christmas over a hot meal and passing around a big bowl of ratatouille. 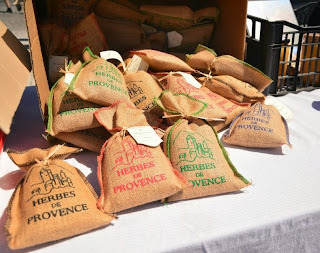 Given the dry and warm Provencal weather, use of dried herbs and spices is quite common in the cuisine of this region. 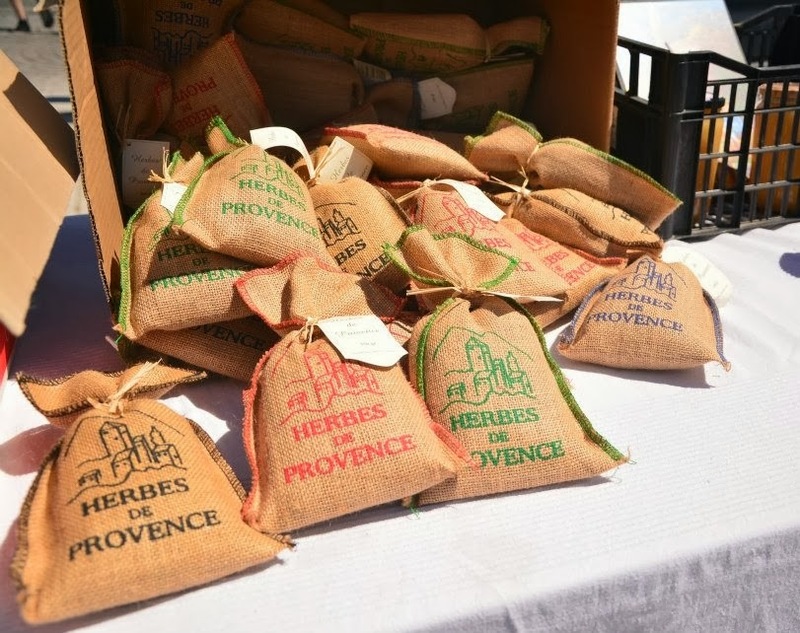 Herbes de Provence is one such ingredient consisting of a melange of different herbs found around the rugged landscape of this region. For my version of Ratatouille I added finely chopped garlic to olive oil and sauteed it until it turned golden in colour. Then I added thinly sliced Zucchini, thinly chopped capsicum and chopped tomatoes and sauteed it nicely. Now it was time to add the herbs and I added basil, thyme and Herbes de Provence. Then I seasoned it with black pepper powder and salt. I sauteed it until I got the smell of the herbs getting incorporated into the vegetables. Then I added tomato puree and a small cup of water. As I am not too fond of a sour taste, I adjusted it with a teaspoon of sugar powder. I stirred it and left it too cook in a covered casserole for 15 minutes. After checking that the vegetables were fully cooked, my ratatouille was ready to be served with rice.